If you can not find out from the manufacturer. 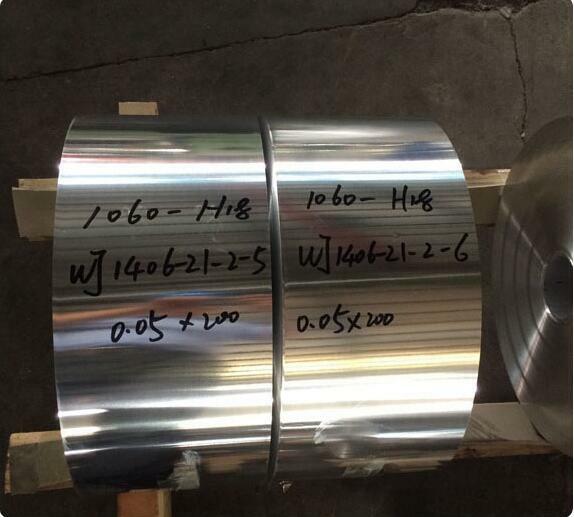 Understanding how aluminium foil sheet is measured is the first step to obtaining foil thickness. Aluminium foil rolls and sheets come in a variety of thicknesses, widths, and lengths. Manufacturers often make the width and length of the foil roll easy to find, but the thickness of the foil is often not advertised. Most manufacturers use terms like standard duty, heavy duty, and extra heavy duty to describe foil thickness. Finding the actual thickness from a foil box or manufacturers website is not likely. Let’s look at some common foil sheet thicknesses and the best way to measure for finding foil thickness . 1 Mil = 1 Thousandth of an inch. Household aluminium foil are often between 75 ft. and 250 ft. long, offered in a variety of widths. The majority of foil rolls labeled as “Standard Duty” are between .0004 thick and .0007 thick. Which at best is slightly over or one half of a mil in thickness. By far the most common aluminium foil sheet used for home and commercial use. Most home users buy 75 ft. rolls of Reynolds aluminum foil or a comparable brand for home use. Heavy duty foil provides extra strength and tear resistance. Many cooks use it for baking, grilling, and storage. Most Aluminum foil rolls labeled “Heavy Duty” are between .0008 thick and .001 thick. The extra three thousandths of an inch makes a big difference for a variety of applications.